Autumn is upon us and winter is not far behind. Say goodbye to those lovely long summer days, and put the barbecue and beach shelter to bed for a few months. Sounding pretty depressing? Never fear, there's an upside to the colder, wetter months; a legitimate excuse to hibernate at the cinema! I always feel bad about taking my children to the cinema when the sun is shining outside, but from April to September I like to treat them to a few kids' movies at our local cinema. It feels so cosy to be snuggled up, snacks in hand whilst we escape into other worlds, especially when the wind is howling outside. It seems we are going to be spoilt for choice this year, with a plethora of fun kids' flicks on the horizon; some being complete newcomers to the big screen and others being sequels from well-known franchises. Below is a quick rundown of what we can expect throughout autumn and winter of 2019. If you click on the link for each film, you can watch a trailer to see some of the highlights. 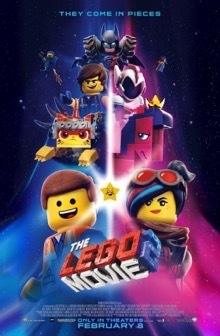 I just love the Lego Movies because they appeal equally to children and their parents. Lots of laughs are guaranteed as we join Emmett, Lucy and Batman battling the LEGO DUPLO invaders, in a bid to restore peace to their world. Prepare yourself for some bricktastic action. The classic children's story of a young elephant who is separated from his mother and made to perform as a clown in a circus, because of his ridiculously large ears. This one may have you reaching for the tissues. It is directed by Tim Burton and stars Danny DeVito as the circus ringmaster and Colin Farrell as Dumbo's carer. An creative young girl named June dreams up a fantastical amusement park in her imagination. When she is on the cusp of leaving childhood behind she discovers that the amusement park is a real place which she stumbles upon in the woods. June is the only one who can restore the park to it's former glory so she bands together with some crazy animal friends to bring back the wonder in Wonderland. This one looks like a definite go-see for my family this year. Hugh Jackman is the voice of Sir Lionel Frost – a fearless explorer recruited by Mr Link. Mr. Link is 8 feet tall, 630 lbs, and covered in fur. Tired of living a solitary life in the Pacific Northwest, Mr Link sets out upon a journey to find his long-lost relatives in the fabled valley of Shangri-La. The film is nicely wrapped up with the premise that 'family' can be found in the most unexpected of places. This one sounds like a winner on the life lessons front. Uglyville and Perfection are two very different towns, where differences are either celebrated or snubbed. The dolls from Uglyville learn that being different is great, and you don't have to be perfect to be amazing. Any POKEMON fans out there (yup – got one in my house) will be excited by this new release, produced by Warner Bros. It's a joint American - Japanese venture and the story goes that a young man joins forces with Pikachu to unravel the mystery of his father's disappearance. The soon find out that a plot is being hatched which will destroy the Pokemon universe. Think I'll give this one a miss if I can hide it from my nine year old. The one we've all been waiting for! The official trailer has just been released amid much fanfare, so let's hope the film lives up to the hype. It looks like all of the old favourites are back, joined by a new toy, 'Forky'. Really – who doesn't love Toy Story? This one is top of our list this autumn. 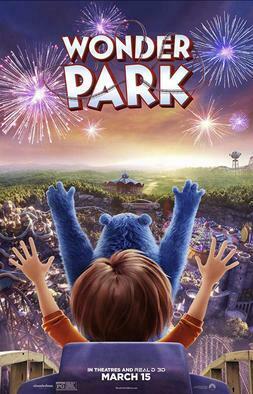 This film is set three years after the events of the first film. It continues the story of Max and his pet friends, following their lives after their owners leave them for work or school each day. The teaser trailers look pretty funny, but probably resound more with you if you actually own a pet. 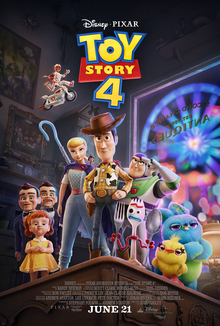 I have a six year old who is going to go nuts for this film (but will probably spend some time underneath her chair with her hands over her eyes or ears). It's billed as being a live action version of the original which is stretching the truth a bit since it's obviously not made with real animals! The CGI in the teaser trailer looks amazingly real and this will be another big go-see for us. Hopefully this article has wet your appetite for the film feast which is to follow. Let me know your top picks!